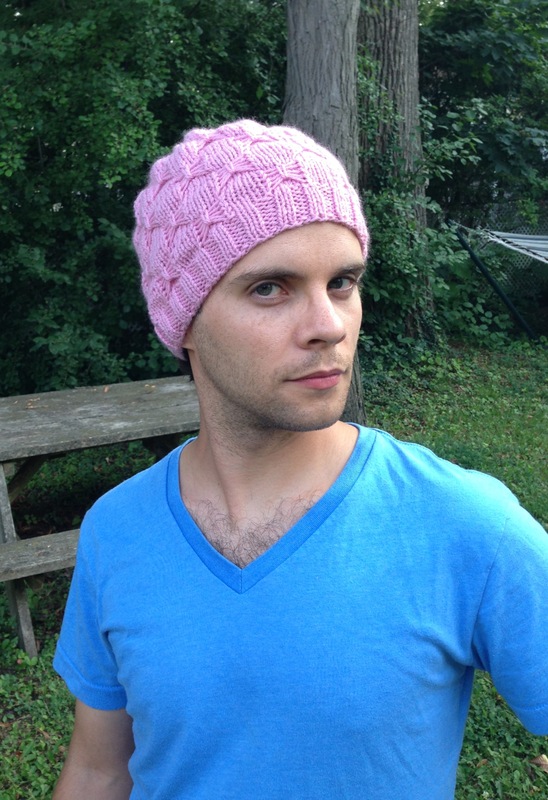 A few months ago, my sweet niece asked if I would knit her a pink hat. 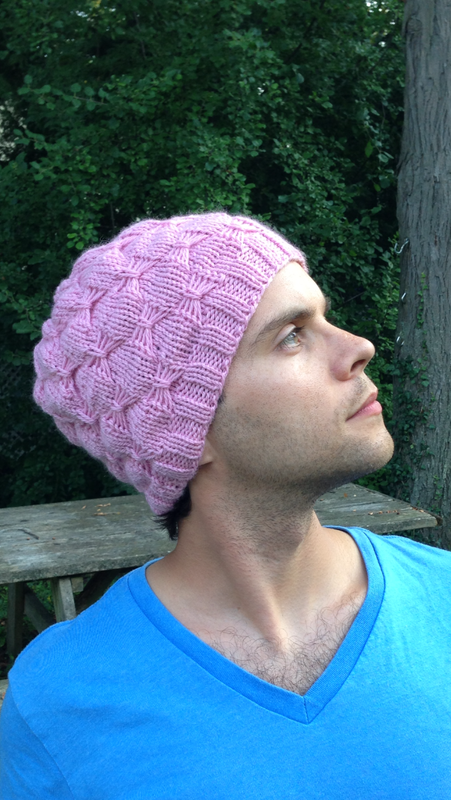 I sent her pictures of several options, and she picked the Butterfly Hat, a free pattern by Sofiya Cremin. I’ve been interested in this pattern ever since my pal Heather made a pair for a couple of sweet little lasses in her family. Heather Knows Hats. So if she likes a pattern, I know I will, too. This one was fun and interesting, and, most importantly, cute. And it’s not just for the kiddos. My niece is a grown woman with kids of her own, and I thought this hat was perfect for her (especially in her favorite color). I had to get it away from my stepson first, though…. It’s very difficult for me not to make a Zoolander quote right here. Anyway! I made this hat in one of my favorite yarns, Stonehedge Mills Shepherd’s Worsted. As I mentioned in my last post about this yarn, my local yarn shop closed last spring (sob) and I no longer have local access to this Michigan-made yarn. But this summer, while vacationing on Mackinac Island, I stumbled into what looked like a drug store but turned out to also be half yarn store. What are the chances? The owner (a knitter herself) had a delicious assortment of Shepherd’s Wool; I actually had a hard time settling on which pink. The yarn was its usual delight to work with – look at the great stitch definition – and the pattern was a sweet one. Blue steel all the way, baby! Pingback: The Knitting and Crochet Bible Review | Cheaps & Discount Art Supplies Best Price Onsale & Reviews !